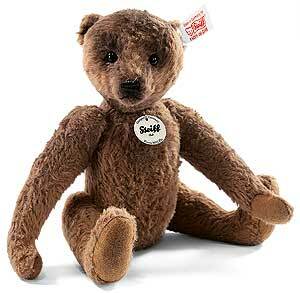 Flo, the Steiff 2012 Event Teddy Bear, which is only made available to Steiff premier dealers who have a Steiff Event. She is a fully jointed bear and made from cinnamon artificial silk plush, Size 21cm. Production is limited to the year 2012. Supplied with certificate and FREE gift box.